Looking for a new home is one of the most exciting, challenging and stressful things you’ll ever go through. Although there’s lots of help from estate agents and solicitors, you have to know that you’re doing the right thing, so here’s a quick checklist of five common mistakes people make when they’re house hunting – read ‘em and avoid weeping! When you’ve made that emotional connection with a property, it’s hard to walk away. Even if you do, it can haunt you years later and make the house you did buy feel like second best. Don’t window-shop outside of your price range. Set your online search filters to max out at your maxing-out price. You can end up falling for a place just outside your range and telling yourself “It’s only another £10,000,”. It’s not, it’s an extra £10,000 and the interest. 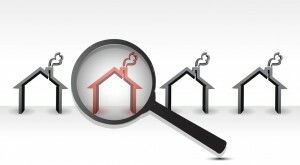 This can make you inflexible and stop you looking at properties that almost fit the bill. Ones that are almost perfect can be made perfect, or you can find the same sort of house just outside your most-desired postcode. Think outside the box – it might save you a lot of money. Look at houses that don’t have the downstairs toilet, but cost £30,000 less and have a big under-the-stairs cupboard that can convert. A can-do attitude is always a bonus, as long as you really can do it. You might fall for a house that needs expensive major repairs, or one that’s just that bit too small and might not get planning permission to extend. Sometimes you have to realise your limits and let things go – there’s always new properties to fall for. Don’t agonise over making that offer – you can always withdraw it, although it won’t make you popular. Taking too long to move can lose you the house and set you back to square one.